You've heard of dogs being "mangy," but that term can also apply to guinea pigs. A guinea pig diagnosed with scabies is suffering from mange, caused by fur mites. The scabies mite affecting guinea pigs can't thrive on people, but it can live on you long enough to try a bite, causing an temporary itchy rash. Scabies mites (Trixacarus caviae) are specific to guinea pigs. These mites live their entire three-week life cycles, from eggs to adults, on their guinea pig hosts. Cavies might normally have a small number of scabies mites on them without causing problems. Stressful situations weaken your pet's immune system and give mites a chance to take hold. If your guinea pig is afflicted with scabies, he'll scratch intensely and lose hair. Because of the constant itching, your pet's skin will develop lesions that become infected. He'll be in such discomfort that the scratching will lead to seizures. He'll stop eating, lose weight and become lethargic. Without treatment, an infested guinea pig might die. Take your pet to the vet at the first sign of illness. If your guinea pig becomes too debilitated from scabies, he might require hospitalization and intravenous fluids to recover. Your vet performs a skin scraping to determine whether scabies is the culprit. Once identified, your vet can give your pet an injection of the broad-spectrum anti-parasite drug ivermectin. You will need to bring your guinea pig back to the vet for another injection or two within the following two weeks. If you have other guinea pigs, they must also be treated. That's true even if they are asymptomatic and didn't share living space with the infected cavy. If you don't get rid of the mites in your household, your pet could become re-infested. Either throw out your guinea pig's housing, dishes, bowls, grooming equipment and toys, and purchase new ones, or thoroughly disinfect them and everything in your pet's environment. 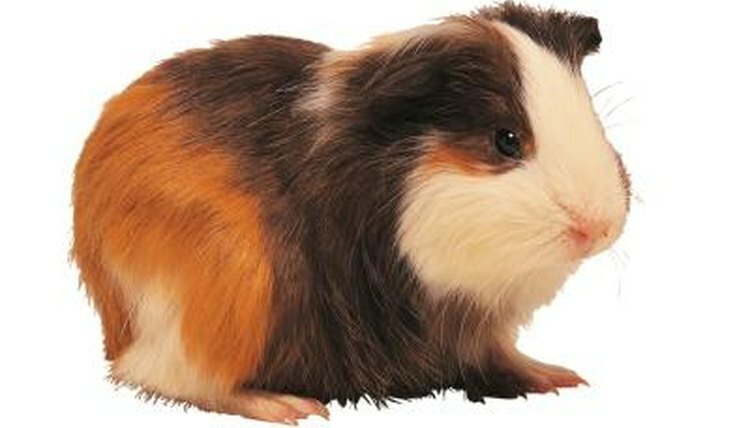 When bringing a new guinea pig into the house, quarantine it from the other cavies for at least two weeks. Ask your vet about treating a new cavy prophylactically with ivermectin to ensure it doesn't have mites.